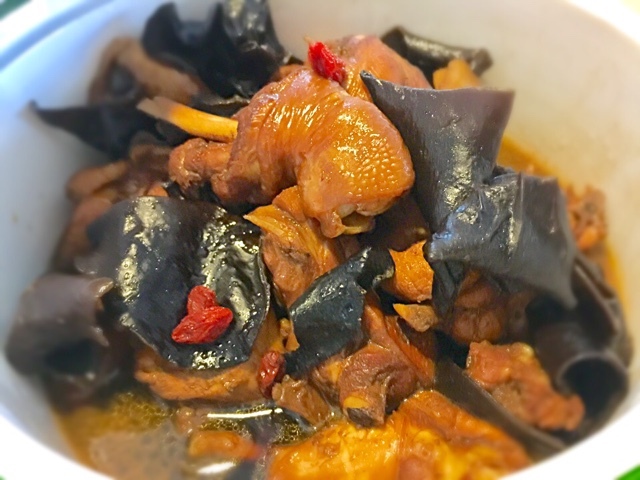 How to cook Stir-Fried Wood Ears with Chicken? I kind of know that it is approaching the period in the month so it is time to cook Wood Ears! I heard from you-know-who that it is good to eat Hei Mu Er once a month to ensure that all the blood that is supposed to come out will come out. This would prevent stagnated blood. I love this dish to bits because I enjoyed eating Wood Ears - chewy, salty, yums. I invited my sister for dinner because I am also cooking Ba Zhen Soup with Black Chicken (Click here for the blog post) and meat dumplings with vegetables. How to prepare Wood Ears? There are two type of Fungus. The one that has power is the fungus that looks huge and not so curly wooly when expanded. The underside is whitish grey. I soaked the fungus in a bowl of water until it is soft. Since my sister was on her way, I play cheat and added some hot water to speed up the expanding process. It is amazing how big they can expand. Since they were huge, I cut them into bite-sized pieces. Any type of chicken tastes very delicious if you are able to marinate them overnight. For this meal, I did not have the luxury for overnight marination since it was an impromptu decision. 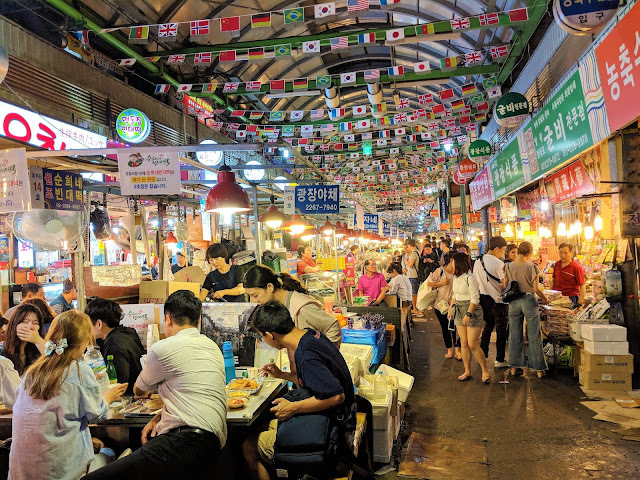 I could not resist cooking whenever I go to the wet market with the fresh ingredients saying, "Cook me Eat me..."
I bought Kampong Chicken from my favourite Chicken Auntie. Everyone has your own favourite stall right? I like the idea of Kampong Chicken because it gave me a good feeling that it might not have been injected with hormones to make it fat. I imagined the chickens running freely in the Kampong. That is why they are called Kampong Chicken right. I marinated the entire chicken with 5 tablespoons of light soya sauce, 2 tablespoons of dark soya sauce, a teaspoon of fish sauce to add flavour and 1 tablespoon of sesame oil. I left it alone for around 30 minutes while I busied myself cooking rice, meat dumplings and soup. I added a small amount of cooking oil and sesame oil onto the pan. Once it was heated up, I added the ginger slices. I fried it until the aroma of ginger with sesame oil wafted in the kitchen. I also added 2 to 3 tablespoons of soya sauce to add to the aroma. Once the sauce had dried up, I added the chicken and stir-fried it together with the fungus. Since it was a whole chicken, I added more sesame oil (sparingly), light and dark soya sauce until the colour was what you see in the picture. Next, I added water until it was sufficient to cover the chicken. I covered the pot with a lid and let it simmer for a while. I like this dish to have sauce to go with the rice and covering it would also ensure that the chicken would not be dry and remain soft and juicy! Taste and adjust! Once I was happy with the taste, I switched off the stove and added 1 teaspoon of sesame oil. Sesame oil loses a lot of its fragrance when we cooked it for too long. 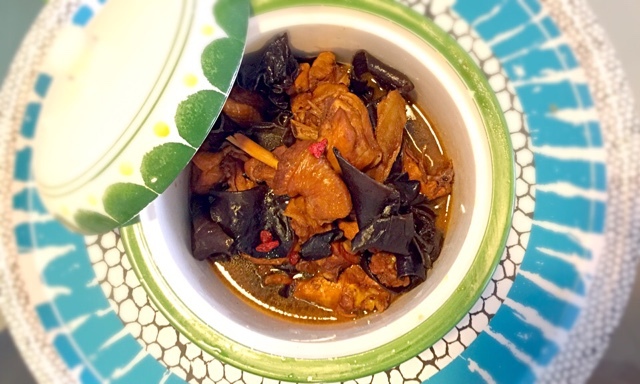 For this dish, it is best to be consumed before your period to prepare your body. During your period, you are not supposed to consume any herbal soups and just let the body do the necessary. As my sister just had her period, I cooked this Ba Zhen Soup for her because our body tends to be cold right after our period ends. As for me, I am able to drink this a few times a month haha. By the way, I discovered that Ba Zhen herbs from ZTP medical hall and Eu Ren Sang taste a lot more delicious than the ones bought from normal medical halls or NTUC. 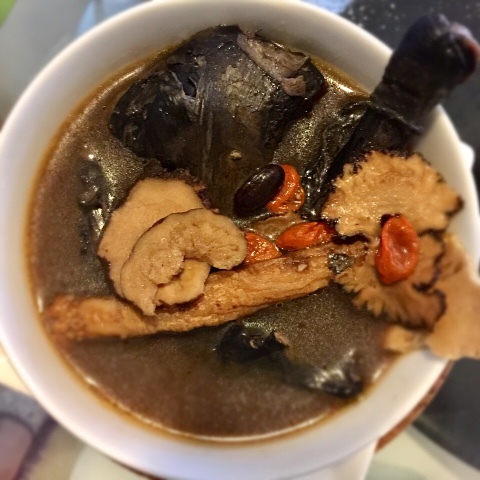 Please see my blog post on Ba Zhen Soup if you are interested. A toast to good health!